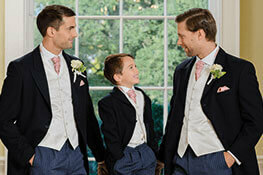 We'd love to send the groom a suit to try on. Wouldn't it be great if you could try on your outfit for free, before you place your order? 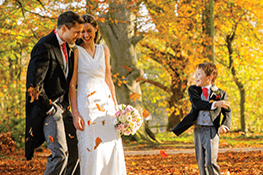 We'll send you the style of your choice for a free 2 day trial in your own home, months before the wedding. 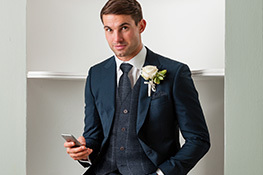 Our Free Home Try On Service for grooms means you can use the Outfit Builder to create styles you like, then choose one outfit to be delivered to your home to try it on for free. We'll send your chosen suit including trousers, jacket, waistcoat, neckwear and hankie so be sure to try it on with a shirt and a pair of dress shoes to get the full effect!